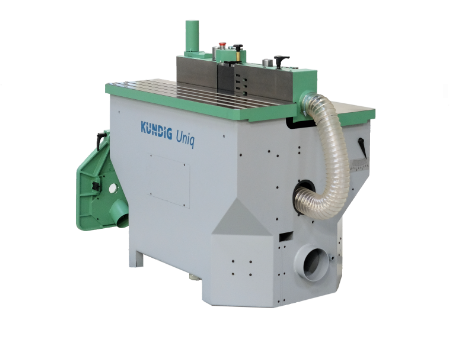 All Uniq edge sanders are characterised by their massive machine body. 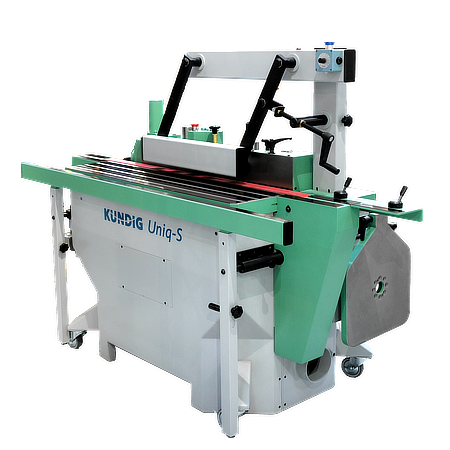 Because of the above average weight the Uniq series of edge sanders are remarkably stable, even when working with very long and heavy workpieces. Also vibrations are suppressed almost completely which is an important factor in high precision edge sanding. The oscillation feature works differently than in common edge sanders and doesn't involve tilting of the drive rollers. 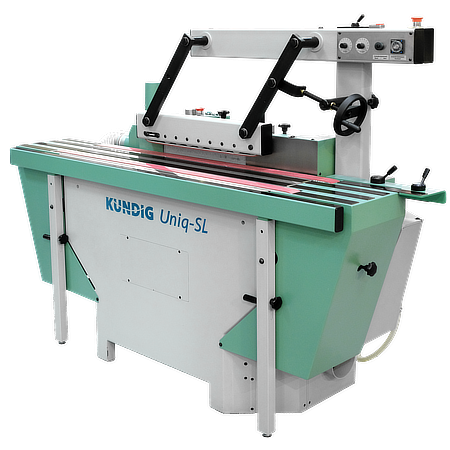 In fact, the Kündig Uniq's whole sanding unit assembly moves up and down - the sanding belt is utilised more evenly, constantly adjusting the table is needless - the working height stays fixed.